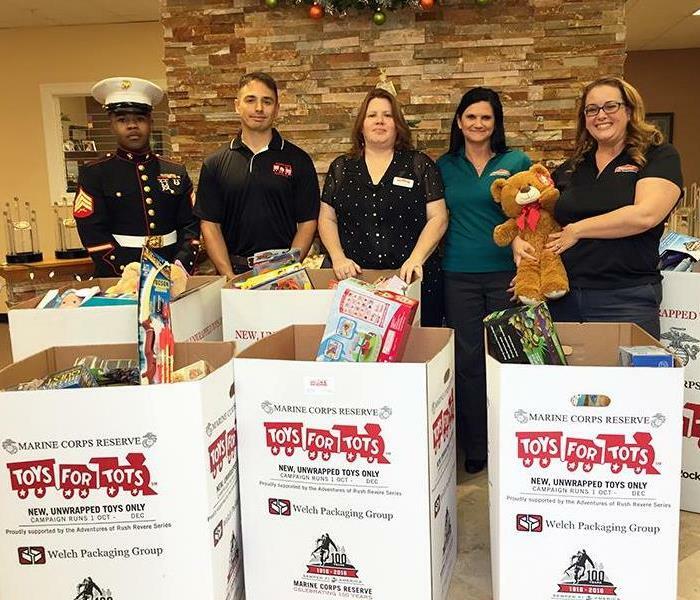 Each year SERVPRO of Friendswood/Pearland host a Toys for Tots drive for our area. We placed donation boxes is our insurance agents offices. We were able to donate tons of toys this year. 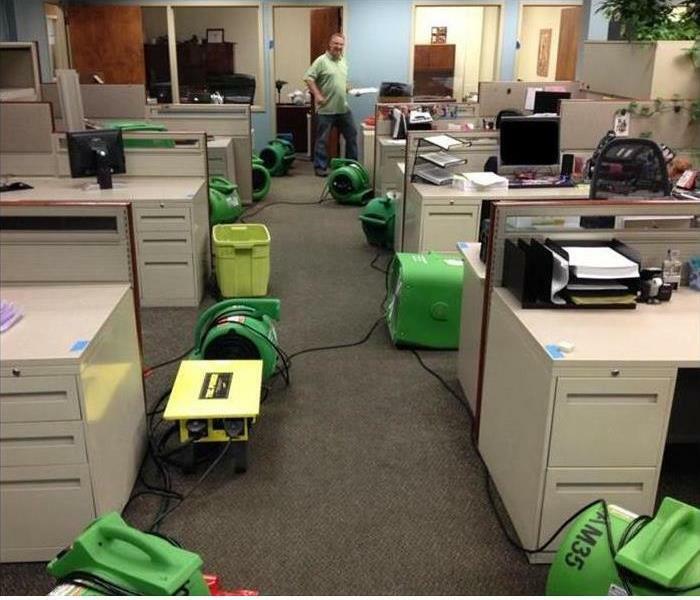 SERVPRO is proud to support our community! Having some fun on the course. 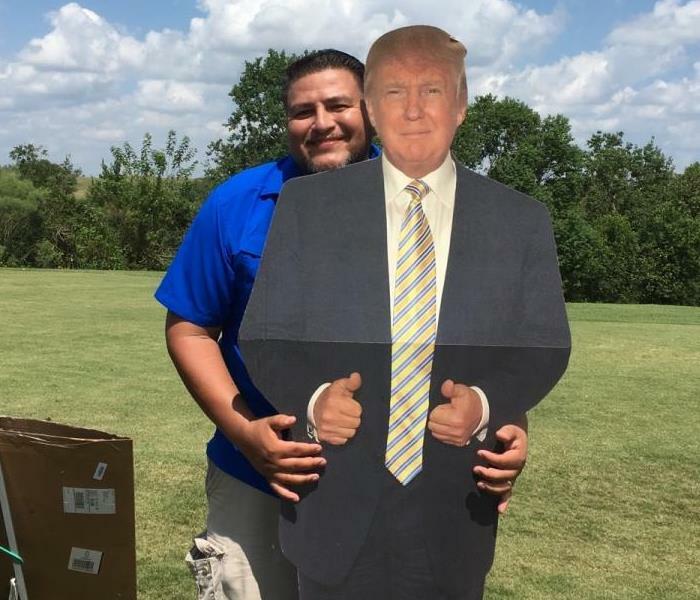 The Trump cutout was a big hit! Dan enjoyed being a drink sponsor this year! It's the best event of the year. 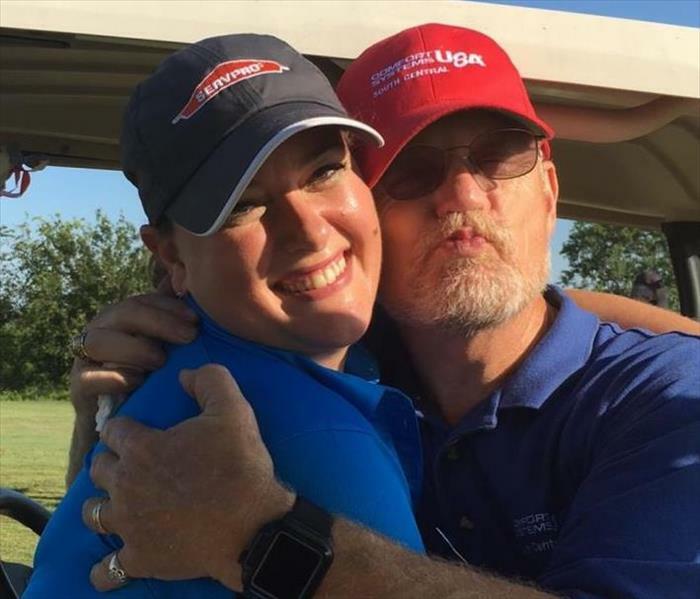 The best part of a golf tournament is catching up with clients and having fun! 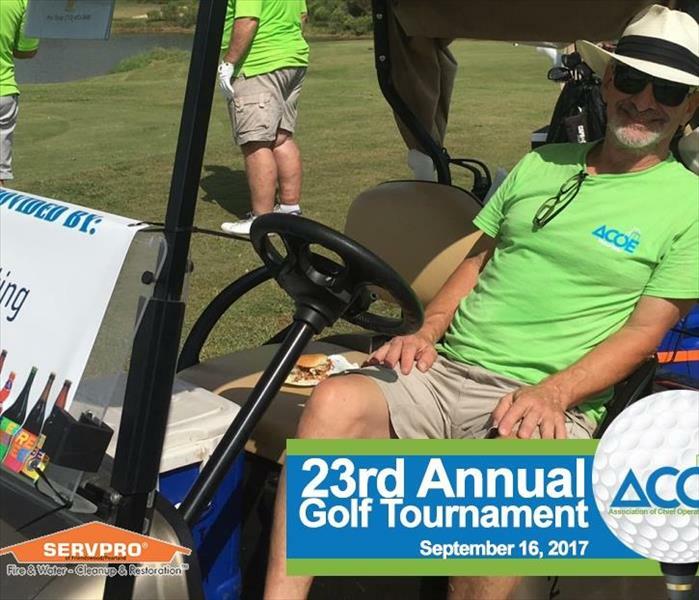 The ACOE was tremendously grateful to everyone who sponsored and participated in the 23rd annual ACOE golf tournament. 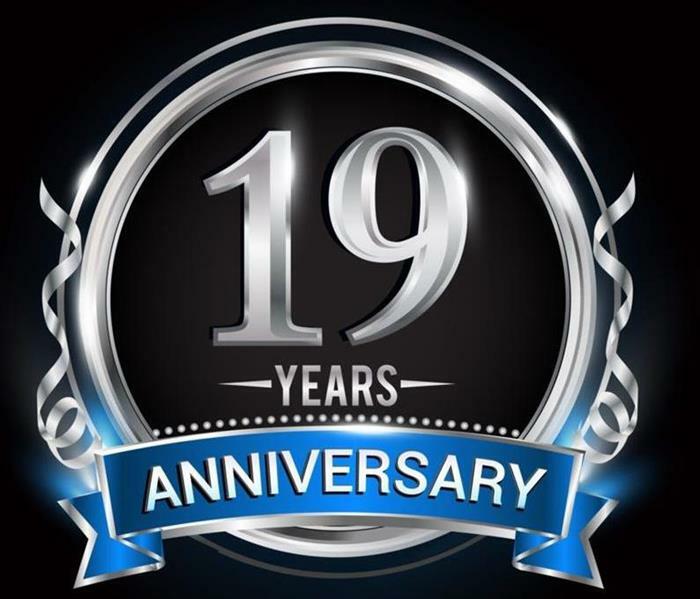 It was a huge success with 176 golfers participating! Great friends–old and new, great food, and great weather! 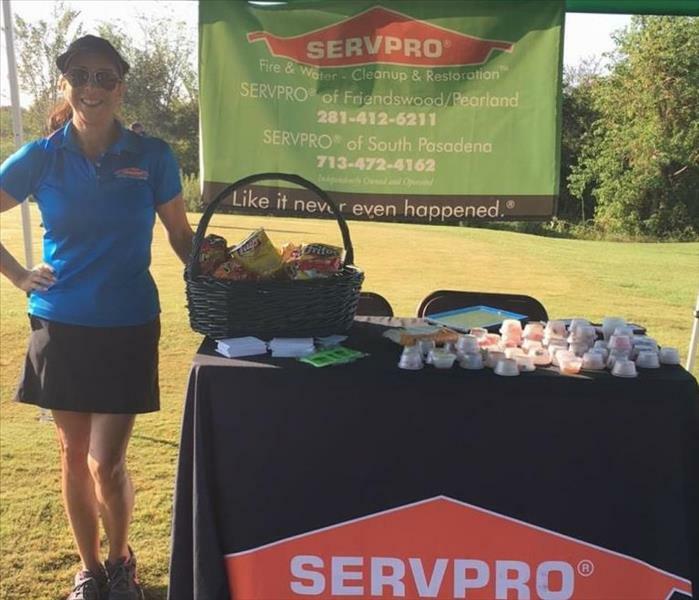 Without sponsors like SERVPRO of Friendswood/Pearland, we couldn’t have an event like this! 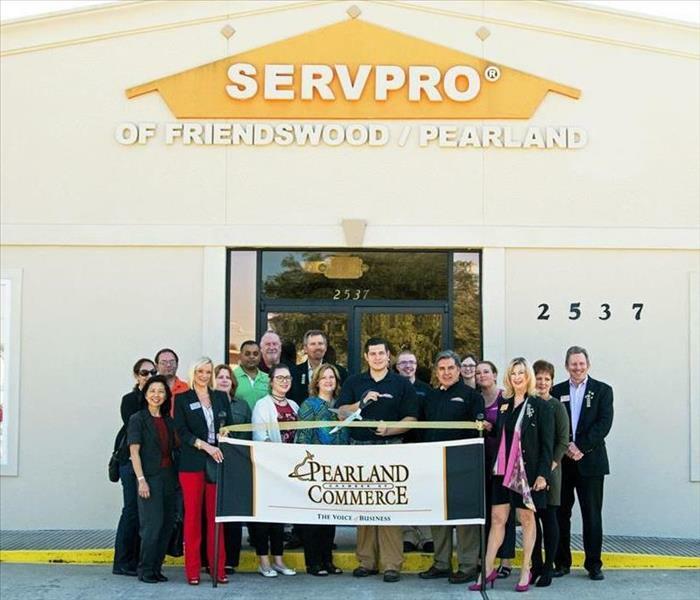 The SERVPRO of Friendswood/Pearland gang at the Pearland Chamber of Commerce Ribbon Cutting ceremony.